"Pleasant community close to Big Cottonwood Canyon. Original home built in 1959 with additions added in 1975 and 1999. Newly painted and new carpet being installed through out. Secluded , private front & backyards. Home set back from road." "Great close to skiing convenient location & neighborhood. New carpet & stove. Large covered patio to BBQ. Newer carport & shed in beautiful backyard. Updated double-pane windows, furnace & central A/C unit. Home is ready to move into. Supra on front door,"
"This home is a must see!! 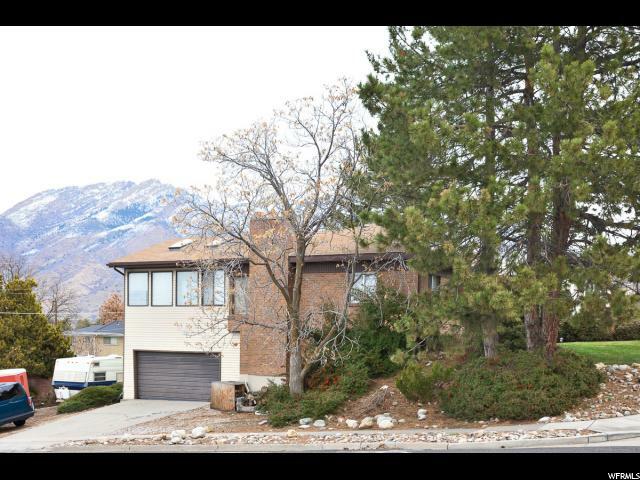 Beautiful home in Cottonwood Heights. 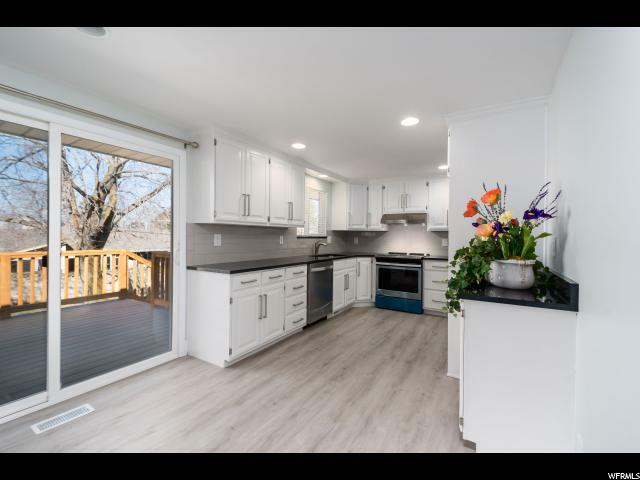 Special Features: A brand new kitchen, with shaker cabinets, granite countertops, subway tile backsplash, and recessed lighting. A large front room has a picture window with a beautiful view of the mountains, and a wood burning fireplace to cozy up in front of. There are 3 large bedrooms upstairs, with hardwood floors and large closets, and a newly renovated bathroom outfitted in subway tile, and beautiful oak cabinets. Three more bedrooms downstairs, equally as roomy, with another full bathroom. A spacious family room with a gas fireplace, and large laundry room with extra desk space for whatever you desire. The backyard is fully fenced, with a large patio, a cement driveway with access from the gated fence, and a separate fenced in garden area with grapevines and raspberries. The two car garage is extra deep, with a workbench and storage cabinets in the back. Furnace & A/C (along with humidifier) is one year old. 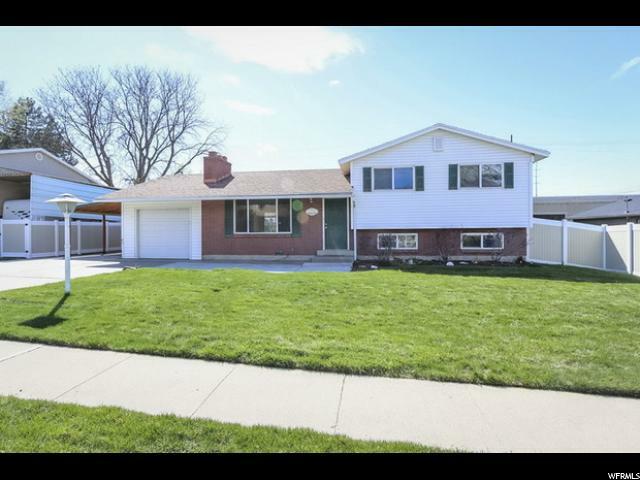 The location of this home couldn't be better, easy access to I-215, central to shopping, library, parks, Cottonwood Heights Rec. Center and Big & Little Cottonwood. Make this your home today!" "This is the one! 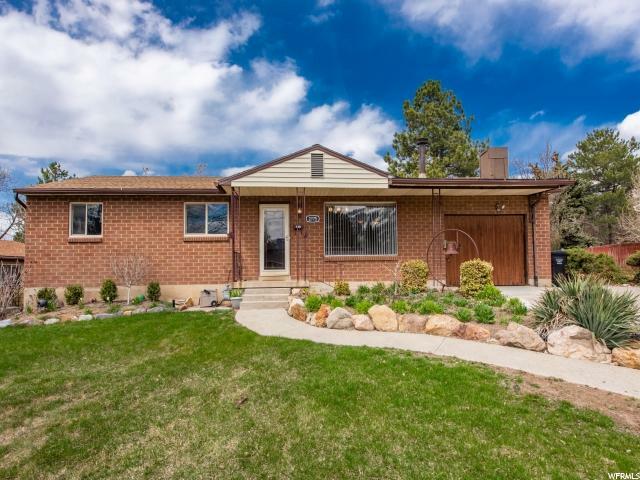 Beautiful brick rambler situated in a wonderful Cottonwood Heights neighborhood with gorgeous views of the mountains and surrounding valley. Spacious living room and bonus room with plenty of living area. The basement has direct access to the garage and a kitchenette. Recently updated furnace. Large garage with ample storage space and a secluded back yard. Come see today!" "MULTIPLE OFFERS HAVE BEEN RECEIVED! HIGHEST AND BEST DUE BY 5PM ON FRIDAY APRIL 19. 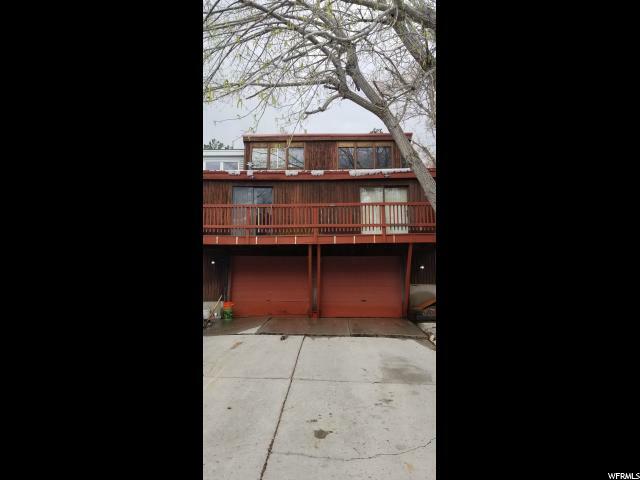 Seriously, yes, $105 SF in Cottonwood Heights. Investors, come with your contractor!! This spacious, all-brick rambler will draw you in by its price, but will make your imagination run wild and mouth water with its potential. If updated, this home becomes a huge, open concept, mid-century modern beauty. There are quite a few tear downs in the area so a renovation will be in good company. The lot is unusually large at .25. and it's fully landscaped with sprinklers. Basement has 8ft ceilings, atypical for the age. It's a blank slate with wide open space to make your dream home come to life. Newer roof and newer main floor floor to ceiling windows! RV Parking on side for toys." 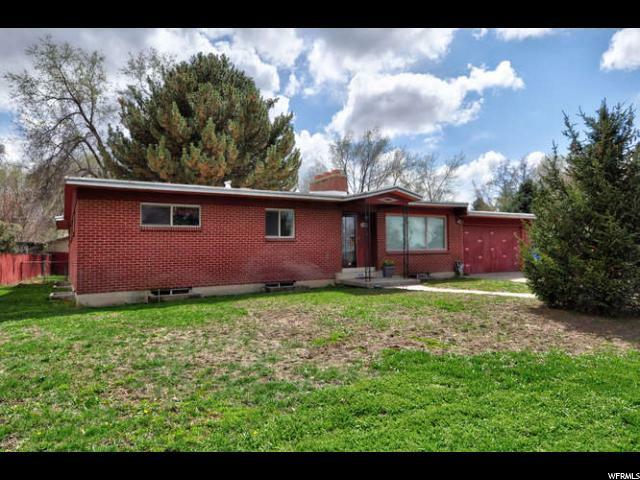 "Come see this great property in Cottonwood Heights with great mountain views. Close to shopping, recreation, ski resorts, and mountains." 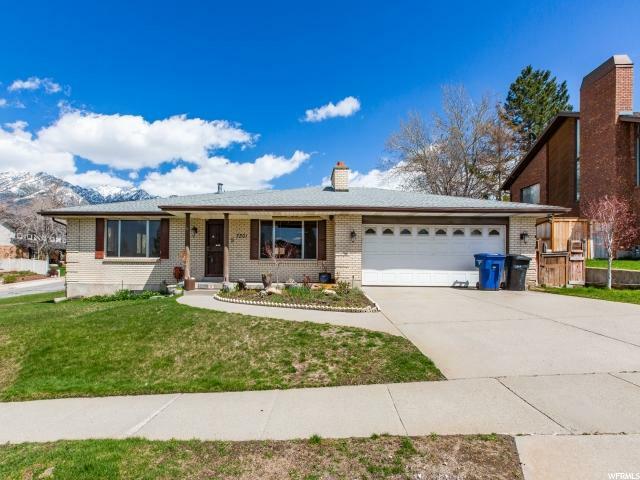 "Wonderful Cottonwood Heights Neighborhood. Quiet and Private. Excellent potential in this 1979 residence. Very well maintained in mostly original condition. Supra and Vacant Square footage provided as courtesy only. Buyer to verify." "Great investment potential. 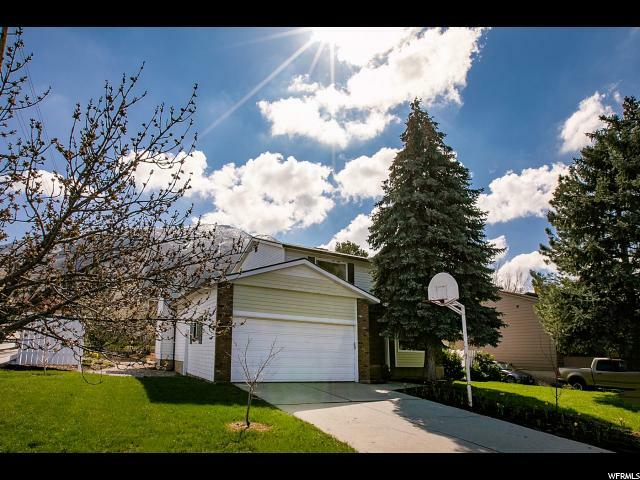 Nice neighborhood, close to great schools, Cottonwood Heights Rec. Center with indoor and outdoor pools, exercise area, indoor track, ice skating rink, and lots of weight equipment with beautiful canyons close by! 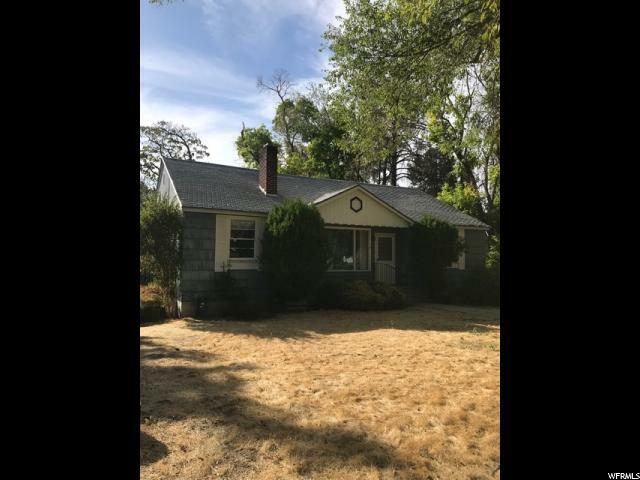 This fine home was remodeled 10 years ago, has beautiful hardwood floors, added family room, newer tankless water heater, wonderful deck 20 x 25, extra large yard. New furnace 10 years ago, new air 6? years ago, nice kitchen with pantry. New roof October 2018. Very nice home and neighborhood!" "***OPEN HOUSE Sat. 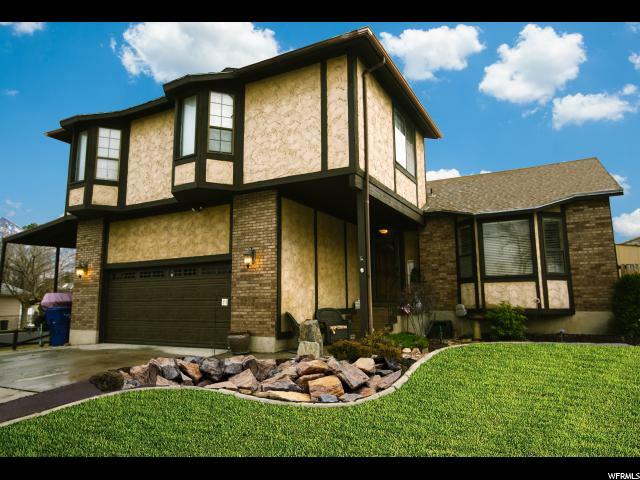 April 20th 1-2 p.m.*** UPDATED home w/BEAUTIFUL valley & mountain views. REMODELED kitchen w/QUARTZ counters, back splash, stainless steel DOUBLE ovens. Brazilian hardwood flooring, bamboo, new porcelain tile! CUSTOM can lighting throughout upstairs. NEW ROOF (2017) w/40 year warranty (transferable!). NEW HIGH EFFICIENCY furnace (95%!) & A/C unit (2017). NEW paint. UPDATED bathrooms. 2 COZY fireplaces (1 gas, 1 wood). Water conditioning system! Kitchen is wired for toe kick & under cabinet lighting on a motion sensor. NEW breaker panel (approx. 2012); custom sub-panel so whole home can be connected to a generator backup. Nearly every light switch & outlet have been updated. Additional power added in garage. PEACEFUL, fully fenced backyard w/fish pond & VIEWS. ONLY STEPS AWAY from CRESTWOOD PARK, its trails (runners/bikers! ), AND Anzark park (tennis)! 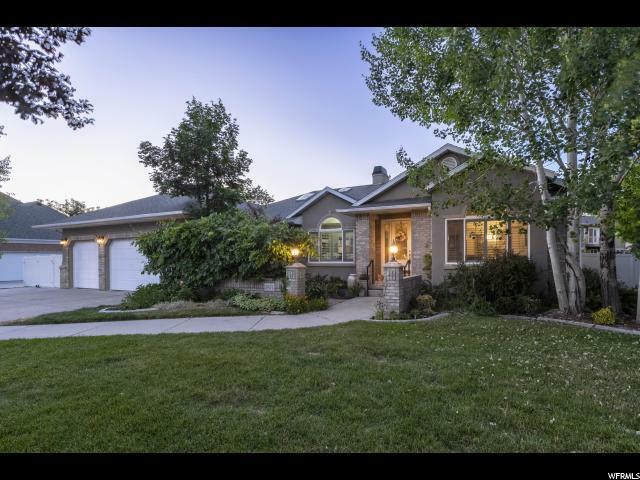 CONVENIENTLY located in Cottonwood Heights close to I-215, shopping, canyons, skiing! SQ FT per county records. Buyer/agent to verify all. " 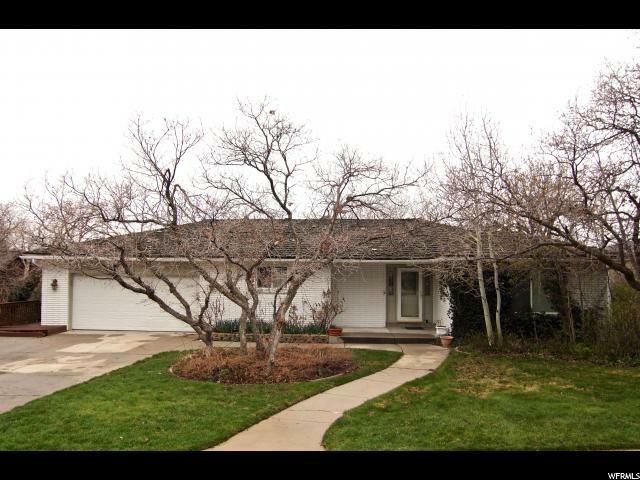 "2094 square ft house in secluded cul de sac on a.30 acre lot in Cottonwood Heights Utah. Next to Union park shopping center and all amenities, stores, restaurants and just below ski resorts and mountain activities. Two car garage with Large RV parking. Forth level set up for mother in law living area with full bathroom and full kitchen. Two and a half bathroom total in house. Cathedral ceilings, four bedrooms in home. Spiral staircase from the upstairs to outside. All four levels finished." "This ski home with green sensibilities is the gateway to your next adventure! Bike Corner Canyon, Mill D, Big Cottonwood, Wasatch Crest, or Little Cottonwood Canyon with easy access to trailheads. Walk to the swamp lot to catch the ski bus or drive to Snowbird, Alta, Solitude or Brighton. It will be less than 20 minutes from your garage to the slopes. You'll look forward to returning home to the low maintenance, water wise oasis of your private backyard with 200 bulbs and over 50 perennials intentionally planned to give you color through the entire year. Some things change, but others never do. From this yard you'll always have spectacular mountain views and something is always in bloom. Pear, apple, peach and cherry trees, raspberry bushes and grapevines all add to the sweetness of your piece of paradise. Located in a highly walkable neighborhood you can stroll to shopping, the rec center or award winning schools. Water wise yard system keeps your bill down to $60/month in the dead heat of the summer while still allowing you a beautiful green space to play. The garage is fitted with two 40 amp plugs for your electric vehicles. Why waste time with a fixer upper when you could be out enjoying your next adventure? 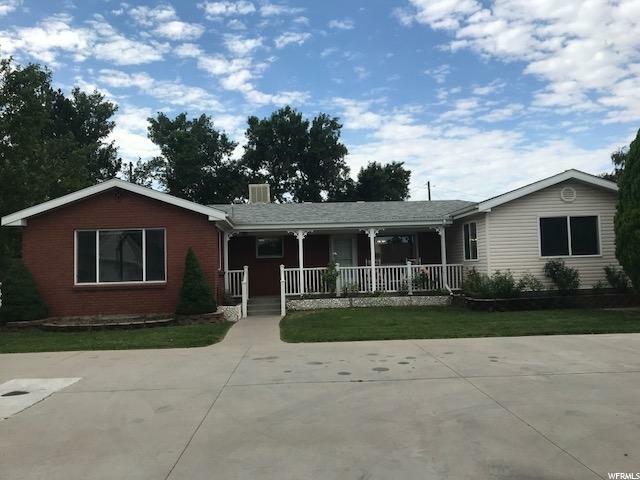 This home is move-in ready with remodeled bathrooms including quartz countertop vanities, new 36 hour aqua guard wood laminate flooring through the main level and new carpet downstairs, and new paint throughout. Large bedrooms including a master with walk in closet and en suite bath and room to add a 4th bedroom in the basement and still have plenty of room for a living area and storage for your toys." 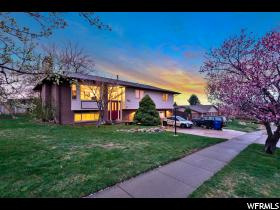 "Very solid and updated brick rambler in great Cottonwood Heights area with most amazing views of city from up above. New carpet, 2 kitchens with Mother in-law apartment with separate entrance. Also has 4 car garage with 2 on each level plus a 2 car carport. Great value for investment or owner occupy. Must see." 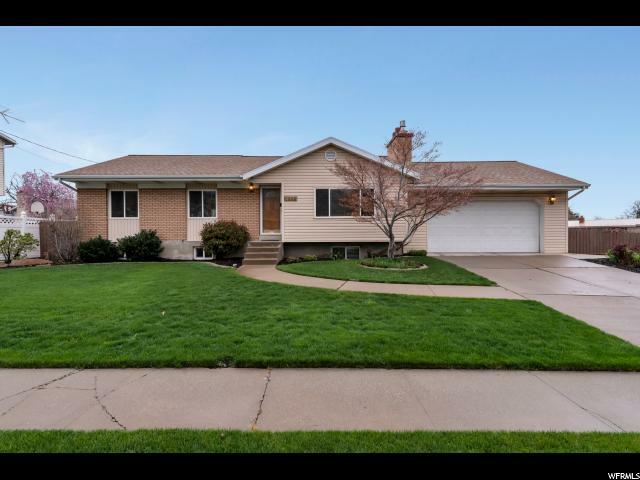 "Beautiful home in the east-side neighborhood of Cottonwood Heights (84121) has just become available. This is a MUST SEE Home! This 5 bedroom, 3 bathroom home is FULLY REMODELED! Upgrades include: Marble floor in the main bathroom with double sinks, double sinks. Crown molding and baseboards, new dishwasher and range, new doors, new upgraded carpet. completely painted. Beautiful light colors throughout. New deck in back. Deep fenced lot. East facing home with Beautiful Views of the mountains. Close to schools, shopping, churches, and parks. Large storage room with many shelves. Large family room downstairs." "Meticulously maintained home! A spacious and open floor plan with 18' ceilings, what's not to love? Enjoy hanging out in this huge kitchen or relaxing by one of two fireplaces. This home has such a warm and inviting feel to it. These homeowners have updated the roof, furnace, carpet, granite countertops just to name a few. The landscaped backyard is perfect for entertaining. Soak in the Jacuzzi tub, sit by the waterfall in the backyard or gaze at the majestic Wasatch mountains. This conveniently located East side home is ready to make memories. The owners have really taken care of this home and it SHOWS!" "Home Sweet Home! East side rambler with both Mtn & Valley Views. Ready for it's new family. There will be loads of perennials blooming soon. 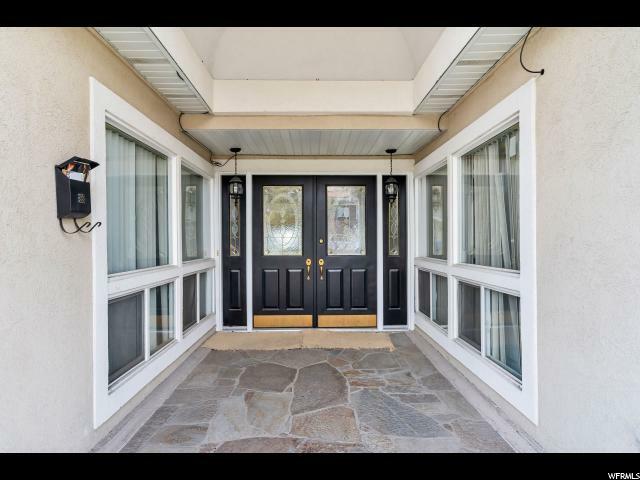 4 Bdrm, 3 Bath w/ full daylight/walkout bsmt. Home has 2 furnaces and much updating. Newer roof, A/C unit, water heater and 1 of the furnaces. Lower tier in back yard is set up for huge garden. Tons of storage. Must see home." "Must see! 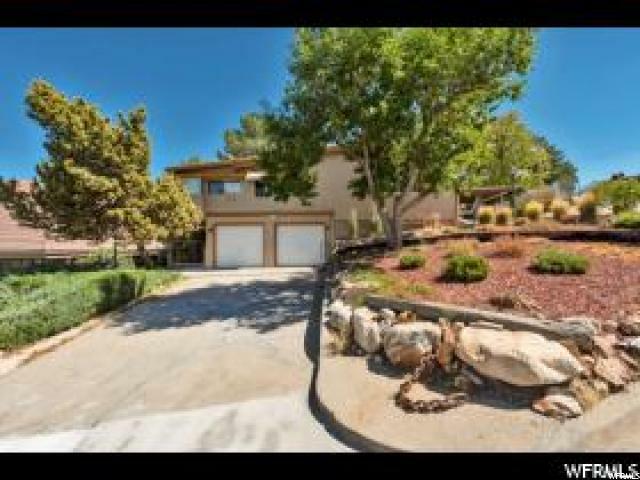 Highly desireable Cottonwood Heights panoramic valley, mountain & lake views. Minutes to world class skiing resorts & hiking. Easy access to all shopping, dining & I-215 to get quickly downtown SLC. 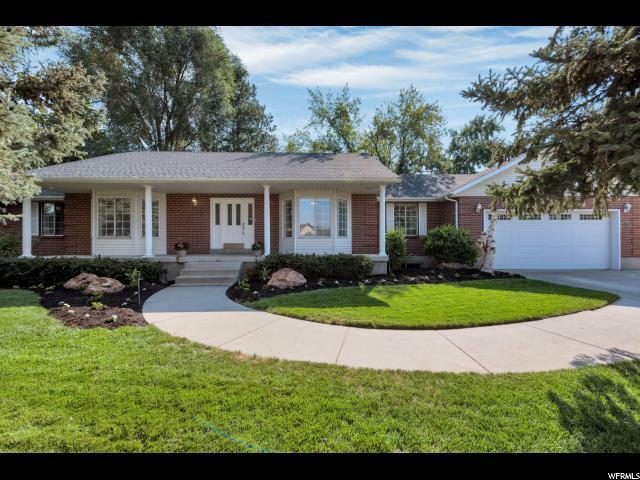 Walk-out raised rambler with daylight basement. Private backyard with covered patio. Granite countertops through-out with updated kitchen & bathrooms. Also, two fire places to get cozy by. Perfect family home. Square footage figures are provided as a courtesy estimate only and were obtained from ______________ . Buyer is advised to obtain an independent measurement." "Clean & well maintained rambler located in the private/prestigious Lantern Hill gated community! 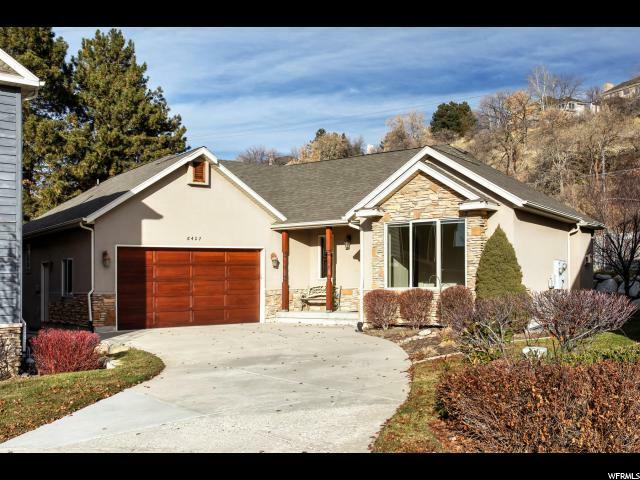 Nestled high on the east bench between Big & Little Cottonwood Canyons, this home offers mountain and valley views and is situated just above the Willow Creek Country Club. The interior is designed for main floor living including a spacious family room/kitchen layout, fireplace, cathedral ceilings, breakfast bar, formal living room, elegant master suite w/separate tub/shower, his & her vanity, and a large walk in closet. The professionally finished basement offers a large family room, fireplace, walkout, office, 2 additional bedrooms and a bath. Conveniently located to world class skiing, hiking trails, shopping, and freeway access. A must see and easy to show!" "Large, secluded property with private lot complete with its own gate! Enjoy amazing valley views. You can see downtown SLC and beyond. Lots of light with an open floor plan and vaulted ceilings. Kitchen upgraded with high-end Wolf Range & oven, Brazilian granite and new dishwasher. Bright and large walk-out Mother-in-law apartment in basement. New carpet in basement. Theater room and large gym. The list goes on on this amazing home! See it for yourself... "
" Classic red brick rambler amongst beautiful mature trees! You're going to love that front porch! This home was built for entertaining with a very unique dining area. The brand new kitchen is flanked on two sides by dining rooms and more can sit at the bar to easily accommodate upwards of 20 people. Custom kitchen remodel with high-end appliances and designer counters and backsplash. All new flooring on main floor including LVP throughout the great room, dining room, kitchen and laundry. You'll love the great room and cozy fireplace. Vaulted ceilings! Large bedrooms. Downstairs features one of the biggest family rooms you can find! There is also an outside entrance into the basement and the plumbing is there for a possible mother-in-law apartment! RV parking! Ask us or your agent to send you our full video walk through tour. Come see it person! " "This remarkable home will end your search! Gorgeous custom off white antiqued cabinets with gorgeous granite and cool block tile back splash with stainless appliances. 2 story entry brings you into more formal areas or great room area which both lead to kitchen. Beautiful hardwood thru out. Guest powder room has glossy black subway tile. The master en suite is a true retreat, huge shower with window & euro glass, gorgeous dark wood vanity & interesting tile and fixtures. The large deck off the master has views that will take your breath away. All bedrooms are well appointed & spacious. Lower level is a walk out with 2 more beds, bath, family room & large storage. The home has plantation shutters. The yard is very private with lots of foliage. Professional couple, this home is immaculate. Not to mention location between Little and Big Cottonwood Canyons." "This one owner home is the epitome of pride in ownership. Sitting high on the East bench near the mouth of Big Cottonwood Canyon. You will be in awe at the incredible unobstructed mountain and valley views. 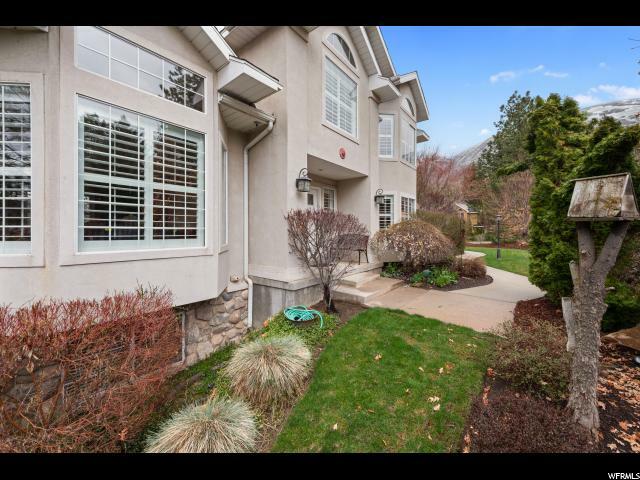 This 4 bedroom, 2.5 bath home is just minuets from world class skiing, hiking, and biking trails. The moment you enter the home you will be greeted with elegance. The grand staircase leads you to the upper level where you will find 3 guest bedrooms, delightful laundry and grand master suite with private balcony, his and her walk in closets, spa like bath. On the main level the floor plan flows effortlessly from the foyer, formal living and dining rooms, gourmet kitchen, kitchen dining nook and family room. The 2 grand fireplaces bring welcoming warmth to the formal living and family rooms. The pickiest of chefs will love the large kitchen featuring, granite counter tops, tile back splash, large pantry, cook top, and wall oven. Even clean up duties will be enjoyable due to the two corner windows over the kitchen sink, looking at the mountains. Entertains is made easy in the professionally landscaped yard and views. There is plenty of room for all your toys in the over sized 3 car garage. This is truly a rare find in Cottonwood Heights." "Immaculate! Darling neighborhood! Gorgeous home in gated community off of Danish Road just minutes away from world class ski resorts! Spectacular mountain views! Amazing 20 home development centrally located close to freeways, hiking trails, mountains and much more. Unique floor plan with main floor on master, main floor office, hardwood floors throughout, tons of storage space and walk in closets, beautiful wood shutters, huge loft upstairs with stunning mountain views! Massive basement family room/entertainment room with walkout basement. Large back patio partially covered. Nice walking trail around community with common sitting area with amazing views of golf course! Acres of wooded land behind home with beautiful trees creating no back neighbors with pure seclusion! Buyer to verify all info and MLS data...Information is not guaranteed." 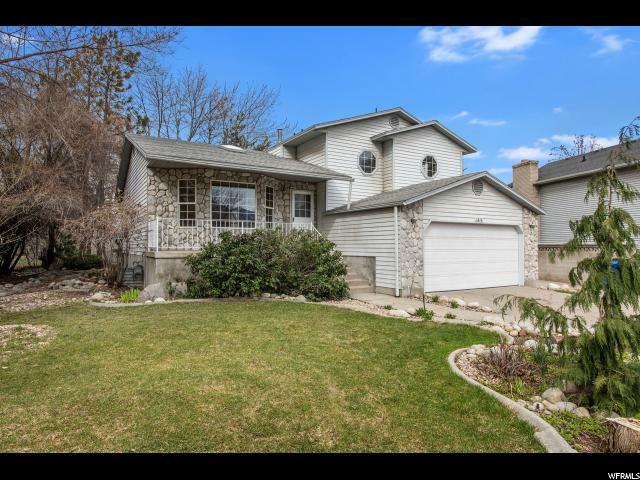 "This stunning home sits on .28 acres in the desirable Old Mill/ Cottonwood Heights area. The large, flowing floorpan boasts all the extras. The large kitchen/great room area spills into a large covered patio. A separate formal dining room and living room make this a versatile entertaining haven. Wide hallways separate the living and bedroom spaces. The master bedroom continues into a large master on-suite with walk-in closet and large french doors to a patio. Each room is thoughtfully placed and details weren't an afterthought. You will find crown molding, upgraded finishes, and updated, neutral paint colors throughout. New furnace and water heaters were place December of 2018. The basement includes a mother-in-law apartment with a second kitchen, additional washer dryer, and separate walk-out entrance. 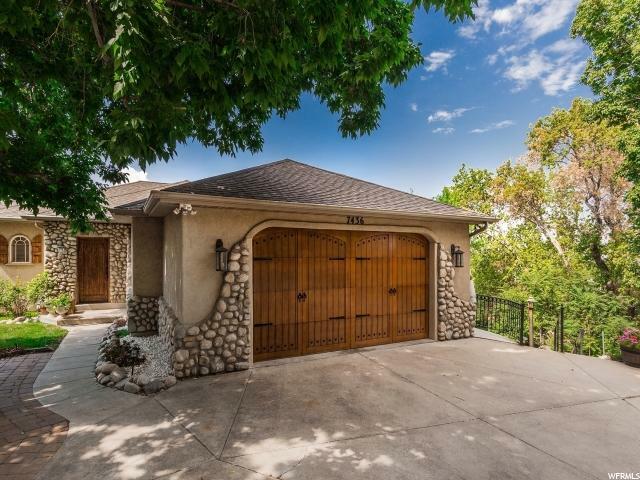 Beautiful, unobstructed views of the Wasatch Mountains top off this already desirable home. It is a must see! Buyer's agent to verify all."